← Healthy eating basics – Spring cleaning specials! 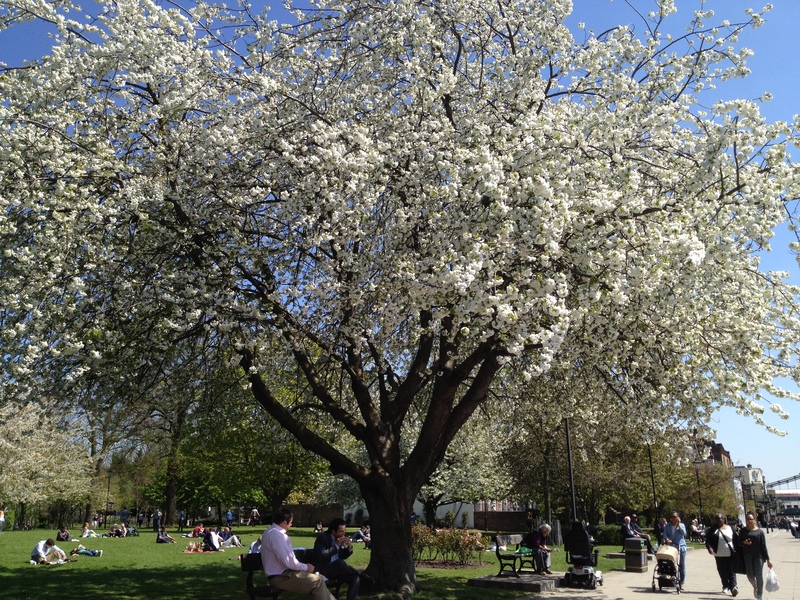 Today London feels like the gateway to summer! 24 degrees and rising!.. For breakfast, I whipped up those delicious waffles. Maybe it is the sunshine outside or my impending trip to Spain soon but I felt like giving the kids and I a particularly fruity breakfast and here it is.Those are made with skinny buttermilk so they are lighter and more virtuous than ever! 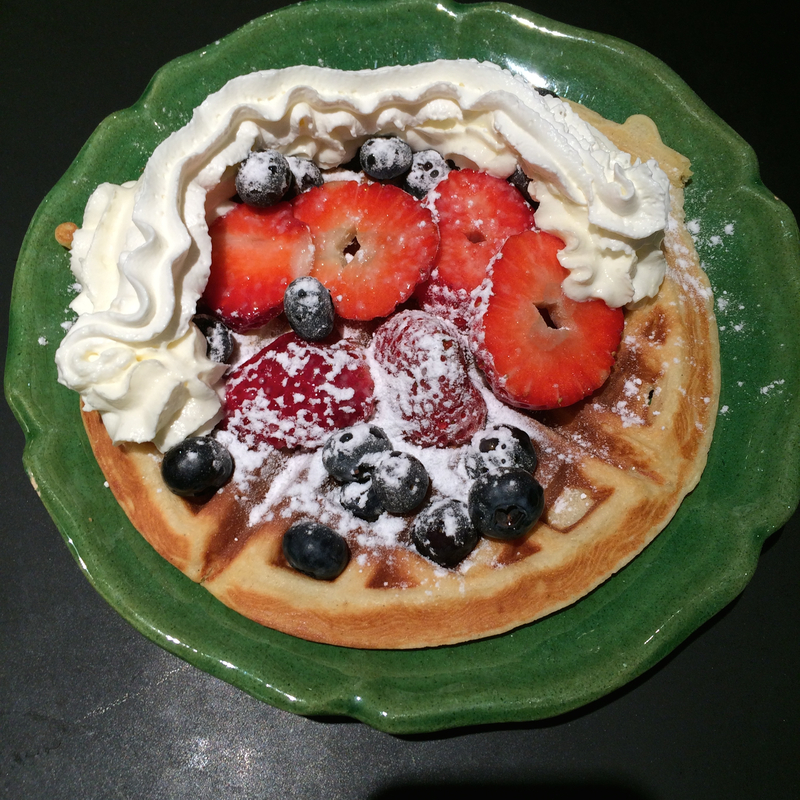 plus covered in fresh fruit, they can definitely count towards your 5-a-day… Or is it 7 these days?! This made 8 generous waffles. In a large bowl, work the butter and sugar until fluffy and creamy. Split your egg whites from their yolk. Then, add the yolks one by one to the mix. Use an electric whisk for that and add the cream and flour, bit by bit. It should be creamy not lumpy. Clean your hand whisk to beat the egg whites to a stiff consistency, adding a pinch of salt to help start it. They must make peaks when you pull out the blades but don’t overdo it! Carefully fold the whites into the mix with a wooden spatula. You now have a gloriously plump batter, soft as a pillow. Warm the waffle iron or the electric maker and drop a large spoonful of batter in the centre. Bake until crisp and brown. Those waffles are lighter and just as gorgeous as my previous recipe with full fat cream. This is the perfect version for a bit of spring clean – but with a smack of indulgence! Try them with a dash of maple syrup in the morning or just with fresh fruit and a dollop of rich yogurt anytime of the day. They taste so delicious they hardly need the extra sugar so pile them high with fresh fruit -or fruit purée- and have them guilt-free. In any case, guilt is a useless negative emotion and probably worse for you than the indulgent food you might be having, so just enjoy and forego the guilt – next time you might balance this out! Just remember that enjoying a stress-free treat is very good for your mood and therefore good for your health: you will appreciate it better, certainly digest it better and maybe feel contented for longer! No-one can be virtuous all the time… Not even Gwyneth!.. 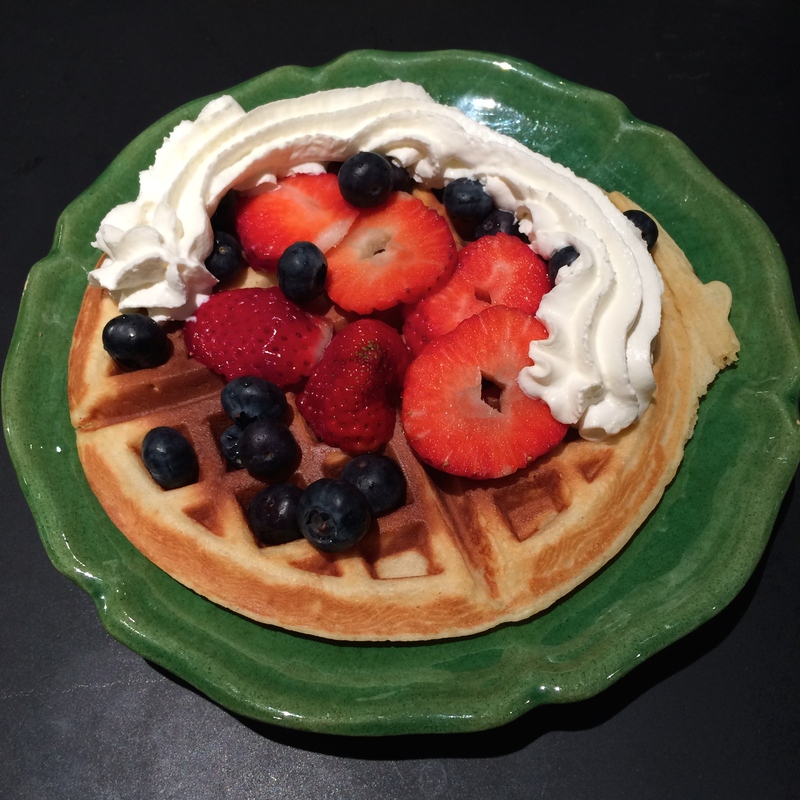 This entry was posted in 3 to 4 ingredients, baking, family favourite and tagged buttermilk, fruit, guilt-free, Gwyneth Paltrow, healthy treat, snack, waffles. Bookmark the permalink.